In order to truly understand the complexity of international gang transfer, it is necessary to note El Salvador’s history and the struggles of its people. 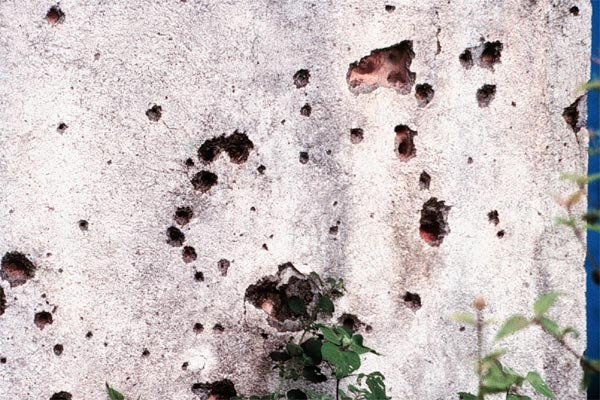 A reminder of violence; these are bullet holes in the wall of the community center of Mozote. Many of the rural peasants lived in extreme poverty. These children are playing in a run-down school in La Libertad. ESAF- El Salvadorean Armed Forces- These were mostly untrained militants fighting for the El Salvadorean government during the war. They used military tactics on unarmed citizens in a policy of oppression. FMLN- Farabundo Marti Front for National Liberation- This was one of the peasant groups that fought the government using guerilla warfare tactics. They usually hid amongst regular villages as cover, or in the mountains. 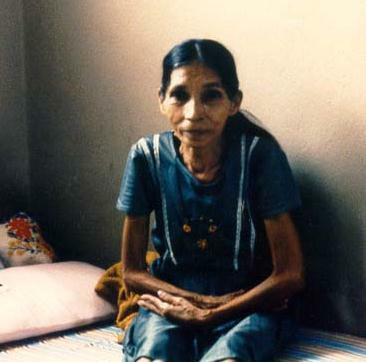 This woman was tortured for two years and died shortly after this picture was taken. 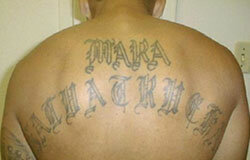 She was accused of supporting the FMLN, but in reality she had refused to become the mistress of an army officer. 1931- La Mazata- Led by members of the communist party in El Salvador and coffee workers outraged by the wage cuts, this revolt tried to change the living conditions of people working in agriculture. About 30,000 indigenous people were massacred over the course of several days, and the military seized control of the civilian government. 1980- Archbishop Oscar Arnulfo Romero, a clergyman fighting for the rights of the poor, was assassinated while at mass. 1981-El Mozote- A military group in the Atlacatl Batallion, a part of the ESAF, surrounded the town of Mozote, and accused the people of aiding guerilla militants in the area. Everyone in the village was told to remain indoors or risk execution. The next day, the people were brought into the town square and separated. The women were raped then murdered, while the men and children were lined up and shot. Over 900 civilians died; the U.S. government denied the entire incident, claiming that it was communist propaganda generated by guerillas. After analyzing the violence of Salvadorian society during the Civil War, it is easy to understand why over 1 million of the citizens fled to other countries. 9 Entire families were torn; many members had fled, while some had members fighting for both guerillas and the regular military. 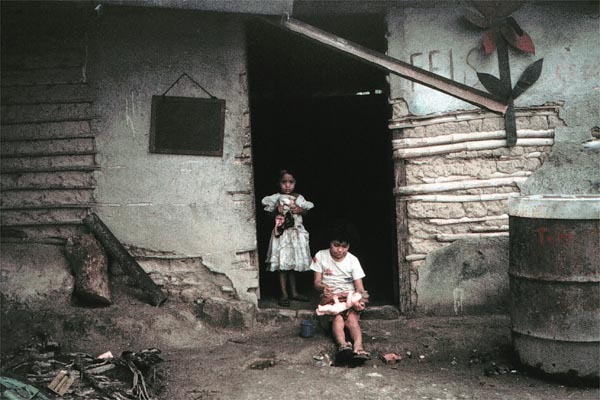 This severely fractured many of the basic principles of family life in El Salvador. Living in constant fear also psychologically traumatized those fleeing from both guerillas and the government. Many from the small villages had seen or had known of a family member brutalized by the war. Half of the 80,000 casualties of war were civilians, with 70,000 others mutilated by serious injury.10 Those who were able to escape to the United States brought with them a history of living in terror and poverty. "Si sólo se oía aquella gran gritazón." All you could hear was that enormous screaming."